ECSA, the European Composer and Songwriter Alliance, represents over 17,000 professional composers and songwriters in 22 European countries. With 42 member organisations, the Alliance represents the interests of music writers of art & classical music, film & audio-visual music and popular music. 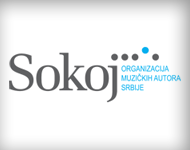 ECSA has been informed by its Serbian member, Udruzenje kompozitora Srbije (Composers Association of Serbia), that for the first time in the history of the International Review of Composers, the Ministry of Culture of the Republic of Serbia had decided not to support the festival. 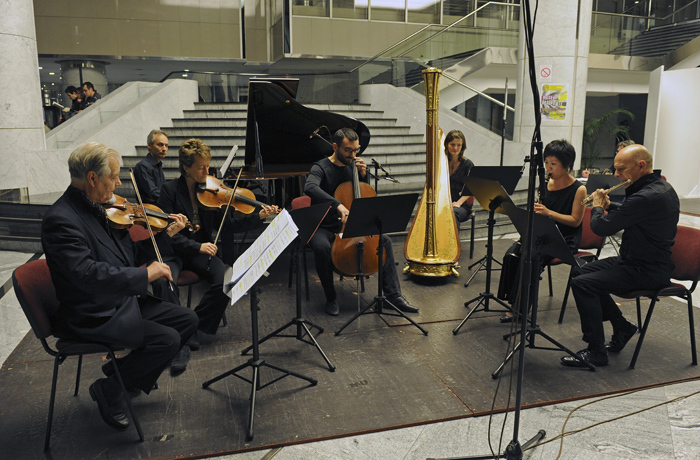 The International Review of Composers is a well-established festival which plays a major role in promoting Serbian culture. 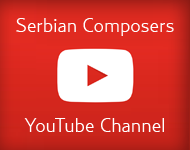 It offers a unique opportunity to showcase Serbian Composers as well as the contribution of Serbia to European culture. 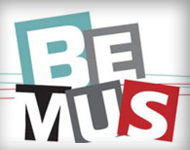 It firmly anchors Serbia within a wider European network of music professionals and music enthusiasts. The festival actively contributes to the influence of Belgrade as a dynamic and lively cultural centre, and to its international visibility. ECSA feels strongly that the decision of the Ministry of Culture to withdraw support to the festival is short-sighted and misguided. Our experience as a European association is that European countries which invest in their national cultural heritage and in the active promotion of emerging artists and creators gain considerable influence at regional as well as European level. Supporting music, and contemporary music in particular, is not a cost: it is an investment. In the Balkan area for instance, ECSA has witnessed how Croatia has actively used music as a promotional tool for the country (some of its festivals are referenced in magazines of worldwide fame such as Time-out), thus increasing significantly its influence within Europe and attracting an ever larger number of tourists. 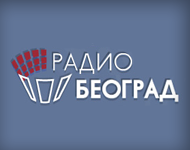 ECSA strongly urges the Ministry of Culture to reconsider its decision not to support the International Review of Composers, and to provide in writing a detailed answer to Udruzenje kompozitora Srbije – as they requested it – explaining the rationale for the decision of the Ministry. I have been warned the Ministry of Culture of Serbia intends to cut financial support to the International Review of Composers. Culture is the most precious thing that european people share since many Centuries. It has forged our identity. Culture has unfortunately not avoided many conflicts and wars, but it is our Heritage in which we may find ressources and energy to build together a future. The International review of Composers is exactly the right place where people day by day give substance to Europe. For this reason and also because Serbia aims to join the European Community, it would be understandable to see disappearing this unique space dedicated to contemporary music in the country. On the contrary the financial support to the internationally well knowned Review of Composers should be reinforced.and durably. the letter of Composers Association of Serbia comes as a real choc. Here in Vienna nobody would believe, that the Ministry of Culture of the Republic of Serbia seriously considers to deny support to the highly appreciated an praised International Review of Composers, which in our opinion is Serbia’s spectacular contribution to international music life. For Klangforum Wien the International Review of Composers is the most important source of knowledge about the development of the Serbian composer scene. The festival has been and is the place for establishing bonds between our ensemble and Serbian composer, as it was the case for instance with Djuro Zivkovic, who’s work the ensemble is following further for upcoming seasons. 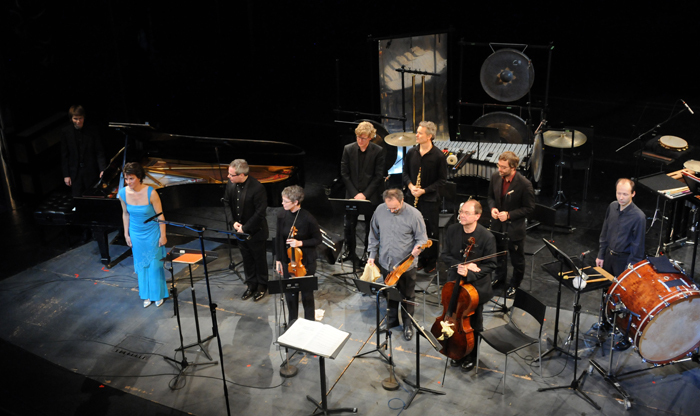 It is also Serbia’s window to festivals and concert halls abroad, which helps ensembles like Klangforum to promote Serbian music internationally. If this lighthouse stops radiating, we will have a hard time to support young composers from Serbia.